I have a pet blog with a DA20 This is a great opportunity to get a quality backlink to your site. I need 500+ words content. I will do blog post related to pet topic. Your post will remain on the homepage for at least few weeks and it will stay on the blog forever. Your link will be a do follow. I will never remove your post from the site, the links will be there forever. After the job is completed I will send the url where your post will be published. I need topic of the content, site url and anchor text on which you want your url to get hyper. Great job! Nice DA21 PA15 DF link. 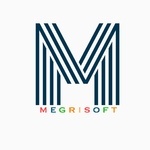 Megrisoft Limited, a well-renowned Google Certified Digital Marketing agency since 1992 offering SEO, blogger outreach services worldwide with 99% positive rating on PPH. We proudly...Read moreMegrisoft Limited, a well-renowned Google Certified Digital Marketing agency since 1992 offering SEO, blogger outreach services worldwide with 99% positive rating on PPH. We proudly announce that we outreach 1856 plus guest posts monthly. Our expertise lies in our work, We have 99% positive rating on PPH including 56 Projects completed and have 46 Buyers in connection. Our professional team understood real blogger outreach hence will provide only blogs which have the real influential audience. We have experience of working with clients from various parts of the world such as USA, UK and Canada.